The UniTorq 3 position control package is designed for use in applications that require the ability to control the rate of flow during a filling operation. This enables an initial tapered flow into the vessel and allows for tapering off as the vessel is filled to capacity. 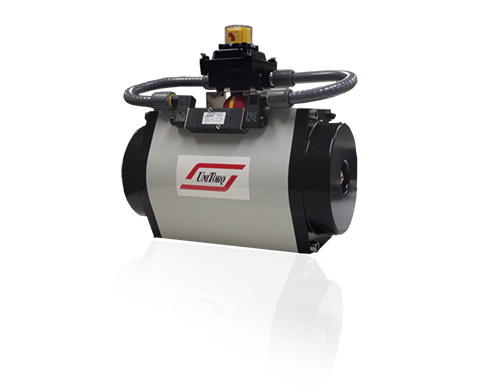 Our three position control package incorporates a 3 position dual coil solenoid valve and a limit switch configured for three positions. The 3 position control package can be configured by UniTorq or we can provide assistance to customers who want to perform their own field configuration.